My raspberries have gone crazy this year. Out of control, fill-the-fridge-wait-no-start-filling-the-freezer crazy. I’m not bragging, understand. I’m simply gobsmacked. 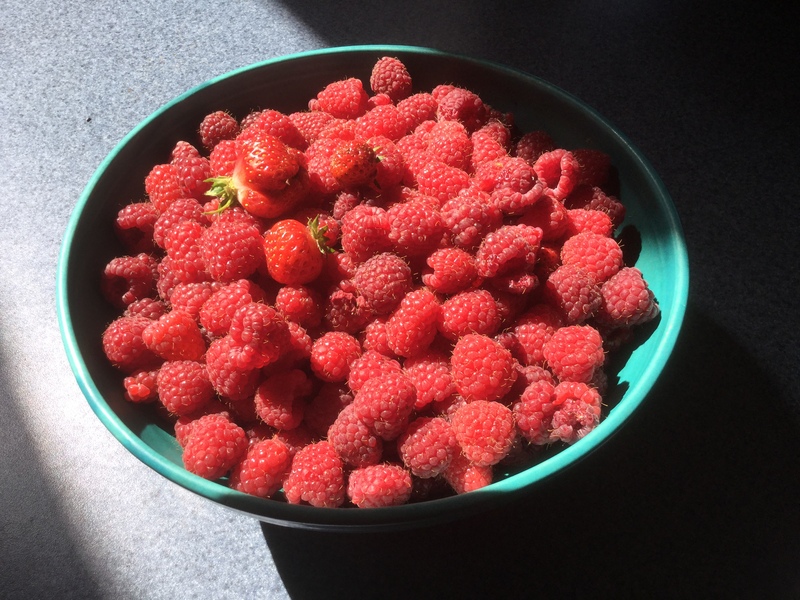 Because my raspberry patch’s fit of overabundance owes NOTHING to me. I’ve done diddly. Weeding? Nope. Fertilizing? Are you kidding? I didn’t even water them. Note: this is a salad bowl, not a cereal bowl. And I’m filling it daily, and then some. 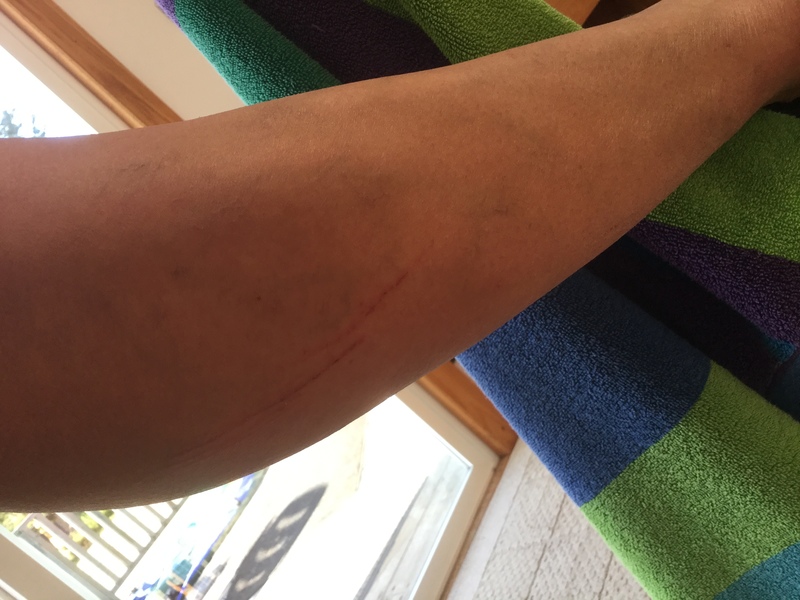 …and I’m not even showing you the scratches on my arms. Point is, though–I didn’t EARN these berries. And yet I still get to enjoy them. Apparently Nature ain’t no meritocracy. This is what benign neglect looks like. 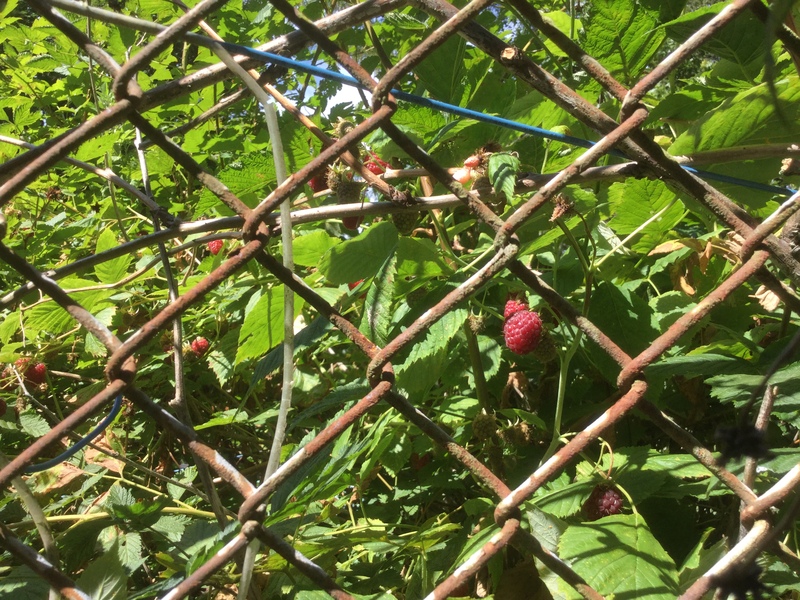 Ironically enough, though, as I’m picking my way through this undeserved bounty, I find I’m practically killing myself to get every…last…berry…through the salmonberries, through the chain link fence the original planter of these berries put up…ooh! those ones just out of my reach look even better than the ones I just picked! Which tells me…what, exactly, about myself? I am perfectly happy to accept good fortune–so happy, in fact, that I unconsciously turn privilege into right and strain for the very last drop of goodness as though I had worked for it. Hmm. Lesson? Learn to accept the berries I cannot reach just as delightedly as those I can? Gratitude AND grace? Workin’ on that. I’ll let you know. 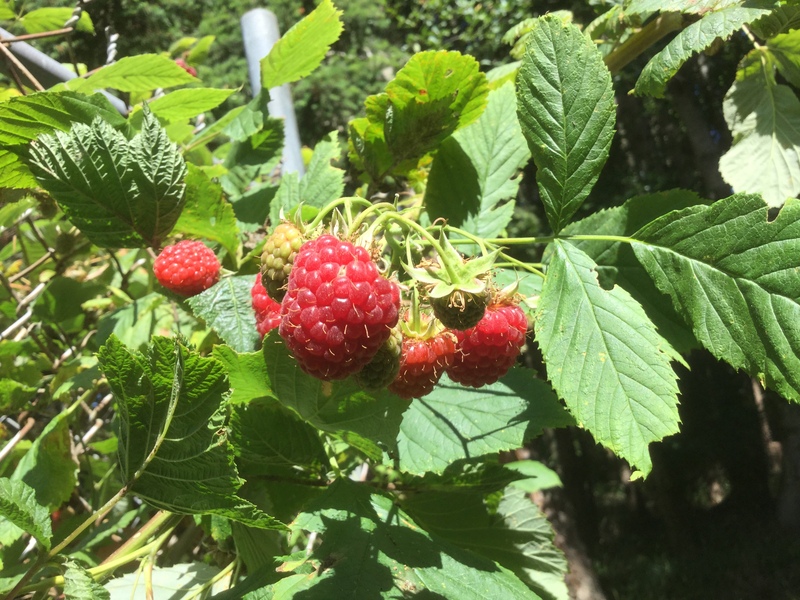 This entry was posted in Wing's Words and tagged berries, gardening, life lessons, Lopez Island, organic farming, raspberries, San Juan Islands by gretchenwing. Bookmark the permalink. My blueberry bushes do that. Last year I had to call friends to help pick because I couldn’t keep up. In six years I’ve never watered or fertilized, so I’m very grateful for the bounty! Don’t you love that? Crazy in a good way.